Although not a native crop to Egypt, strawberries thrive in Egyptian soil and weather. These scrumptious strawberries are abundant at the markets during their season between December and March. Besides the fruit, fresh strawberry juice is also popular here. According to one website, farmers can collect 40 to 50 tons of strawberries per hectare, much more than what is grown in other areas. 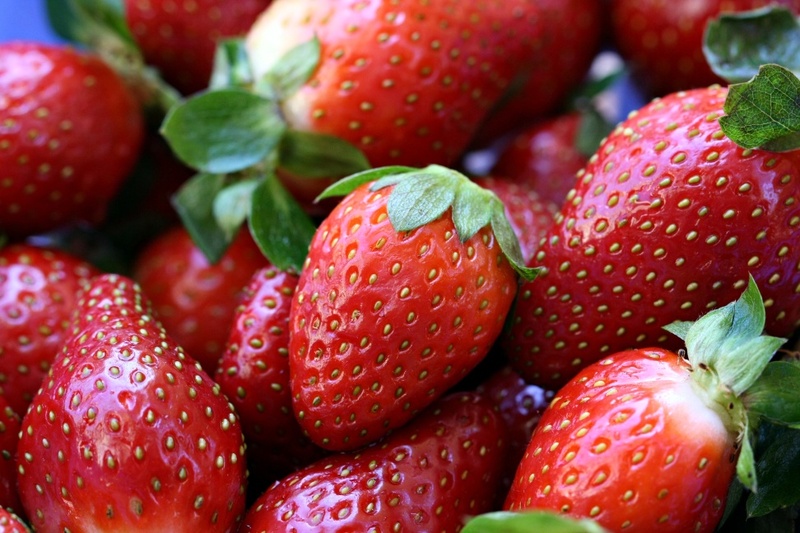 Egypt exports strawberries to Europe, Asia, Africa, and other parts of the Middle East. Read this article for interesting information about the growing of strawberries in Egypt and the low demand this season. Strawberries are sold here in Dahab for about LE 10 ($1.5) a kilo. And they made delicious chocolate-covered treats yesterday. Yum, yum! God want to give us all what we want and more but may be the deprivation of something you want is just a test for you. God want to see if u will be patient or not! This whole life with its ups and downs,with its joy and sorrow is just a test,when we forget that fact we suffer A lot.it’s a test and it will pass .when you are going through hard time ,just be patient becoz God is with the patient and will give him support and victory eventually. The problem with some ppl in life is that they don’t believe! And that’s the most dangerous thing becoz when u don’t believe ,u will suffer and ur life will be like hell! you are just human,so weak and helpless but with God being on ur side,don’t fear anything even if the whole world was against you,just believe in the power of God and you will see miracles with ur own eyes like what those miracles to the prophets when they believed in God’s victory .